I always knew that PANAGBENGA was a flower festival. But I never imagined that it would be this elaborate! It was my first time to attend and I was swept off my feet! It wasn’t so much the variety of flowers as the presentation of the floats that displayed them. Was pleasantly surprised to see floats as big as jeepneys with every last inch of the float covered in flowers or greens! This one with polar bears complete with sound! 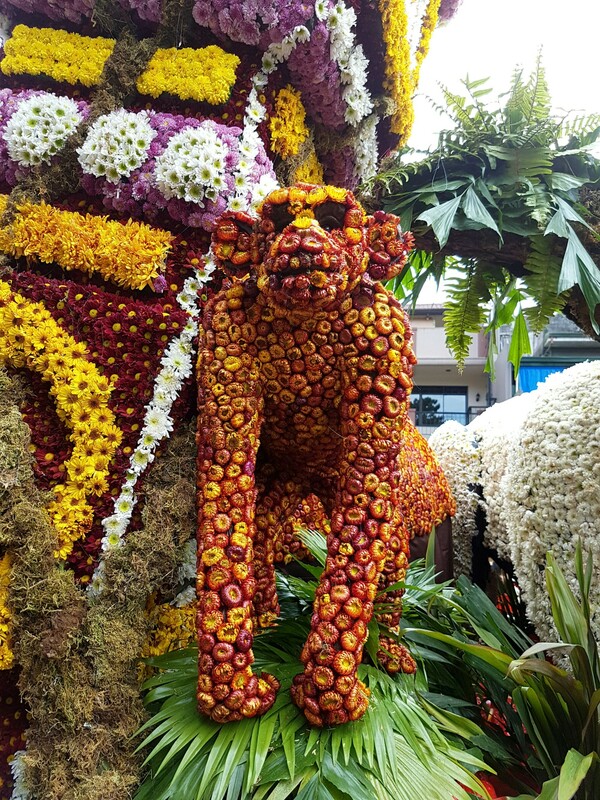 Note that the entire monkey is made of Everlasting flowers! I was also blown away by the costumes of those who walked in the parade depicting flowers! 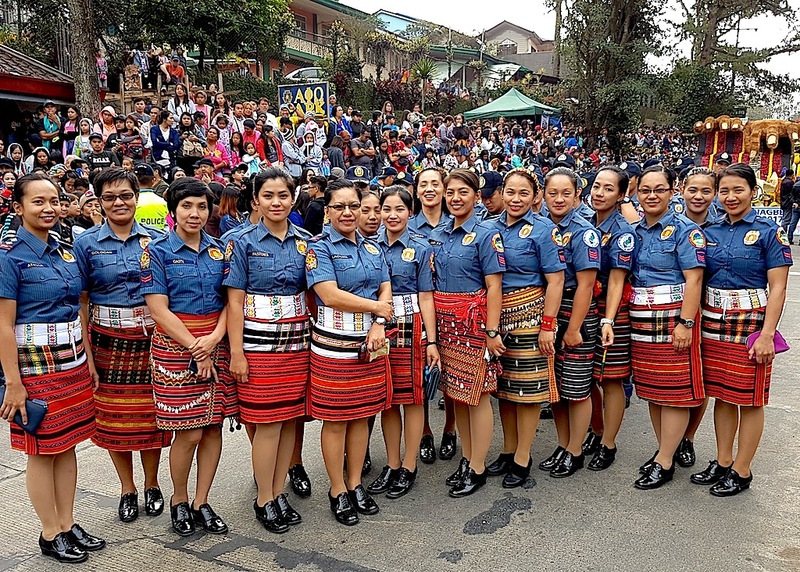 Some of the girls walked the entire stretch of the parade from the Supreme Court compound all the way to past Session Road in heels! Naaliw din ako sa headdress ng babaeng ito. I’m sure Gina Lopez would approve of her environmentally conscious hat! The highlight of the parade for residents, though, was the float that carried the love team of Alden Richards and Maine Mendoza and for ABS CBN the float that carried Bea Alonzo and Enchong Dee. Bea was amazing in engaging the Baguio audience. The Aldub team was more reserved, just smiling and talking between themselves inside their float. I am definitely coming back next year!